The word entrepreneur is often used interchangeably with business owner, but the fact is that there is a lot of difference between being an entrepreneur and merely owning a business. Literally anyone who has some money can own a business. You buy a post office or a pizza franchise and simply wait for the customers to show up. Entrepreneurs are different. They have vision. They want to create. And they thrive on challenge. In fact you can be an entrepreneur without owning a business, because entrepreneur ship is more about who you are than what you own. 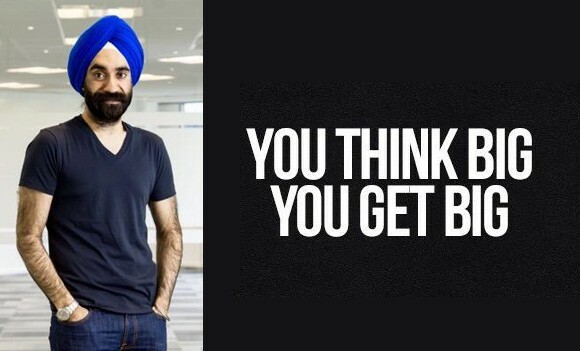 To better understand this concept, let’s analyse one of the most successful and influential British entrepreneurs of recent times, Reuben Singh. He is an interesting person to study because he made a lot of money very quickly at a young age, became an “entrepreneurial ambassador” to the Blair government, and has since been active in helping others to achieve their own success. Singh didn’t have to become an entrepreneur out of financial need. He could easily have opted for an easy life, as his parents were already wealthy through their ownership of Sabco. Like most parents who have the means to afford it, Singh’s parents wanted to spoil him by giving lavish gifts, such as a £40,000 car. Unlike most teenagers, Singh handed back the keys. That must have been a tough decision to make, because cars are something he is very passionate about. But he did this because he knew that successful entrepreneurs need to have drive and motivation. If everything comes too easily, it could depart just as easily, because it won’t have the same value in the mind of the entrepreneur as an achievement. If Singh was going to be successful, he wanted to do it on his own terms, without relying on his family. His first big success story, Miss Attitude, began from a simple vision. He found a niche that wasn’t being adequately catered for in the mainstream retail market and seized the opportunity to sell to it. That is what great entrepreneurs do: identify opportunities and then take action. But to become an entrepreneur of this calibre it is not enough to merely have an idea. You also have to implement this idea in the correct way. Anyone can learn to do this, but most people never do. The only thing stopping the majority of them is themselves. Since selling the Miss Attitude chain, Singh has developed two new businesses that serve the needs of entrepreneurs. One of these is Isher Capital, because of course most prospective entrepreneurs need to raise some capital to commence their business activity. The other is an innovative concept known as AlldayPA, which provides entrepreneurs with the ability to maintain a 24-hour presence in the marketplace, and allows the outsourcing of time-consuming busywork that distracts the entrepreneur from the core activity of their business.